2017 MarCom Awards Now Open! 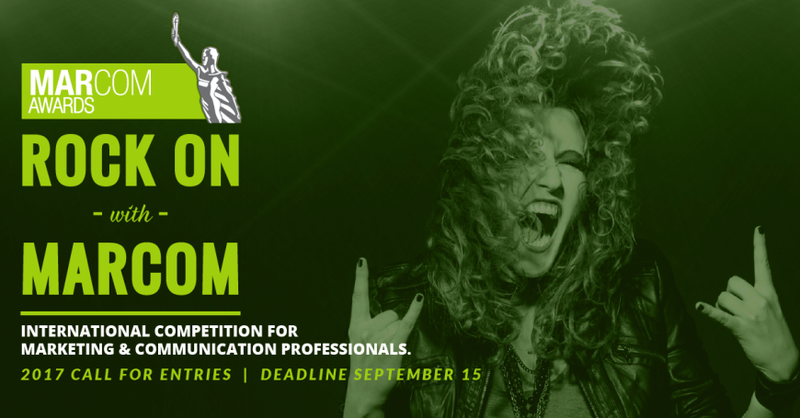 MarCom is seeking the brightest, most radical and revolutionary creatives who are rocking the marketing and communication industry. Only those who communicate boldly and brilliantly through planning, design and writing will be honored. The mission of the MarCom Awards is to honor excellence and recognize the creativity, hard work and generosity of marketing and communication professionals. MarCom winners receive well-deserved recognition and third-party validation from a leading industry organization that has earned a reputation for fairness, consistency and timeliness. Winners are listed on the MarCom Awards’ website. Winners and clients can also tout their awards through their news releases to their local news media and on their own websites, newsletters and print materials. Winners also have the opportunity to showcase their achievement in their offices or homes and to present clients with attractive, high-quality, meaningful awards.